The disappearance of an American journalist in Dubai raises red flags in Washington's covert sectors. The man was a deep cover CIA agent tracking weapons smuggling. 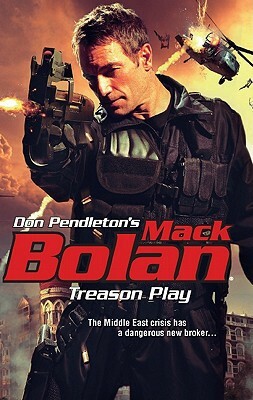 When his tortured corpse turns up, Mack Bolan jumps into action, racing to stop the launch of a nuke somewhere in the Middle East. This time, the masterminds aren't the usual suspects. The men behind the conspiracy are Soviet high rollers, rogue players using money, influence and politics to hack off America's long arm in the region and revive Russia's superpower status. Bolan lights fires throughout the region's criminal underbelly, setting his sights on the Pakistani crime lord smuggling the Russian nuke across borders. Leaving a scorched earth calling card for the traitorous British national who brokered the deal, Bolan delivers a death warning to enemies investing in the carnage of innocents: payback is coming in blood.